IWIC2009 will be held at Stanford Univ. USA. 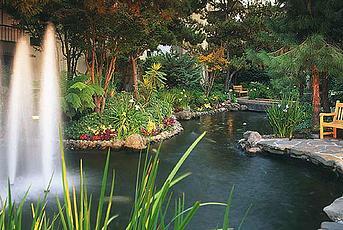 The Sheraton Palo Alto Hotel is recommended as the main hotel of the Workshop. 625 EI Camino Real, Palo Alto, California 94301, USA. A block of rooms have been reserved at a special room rate of $99/night (single/double). To reserve your room use the following reservation method. Make your reservation early! These rates are available for a limited number of rooms and valid from February 19 though February 22 2009. For those coming earlier, a small block of rooms are being held on February 18 for a rate of $189.